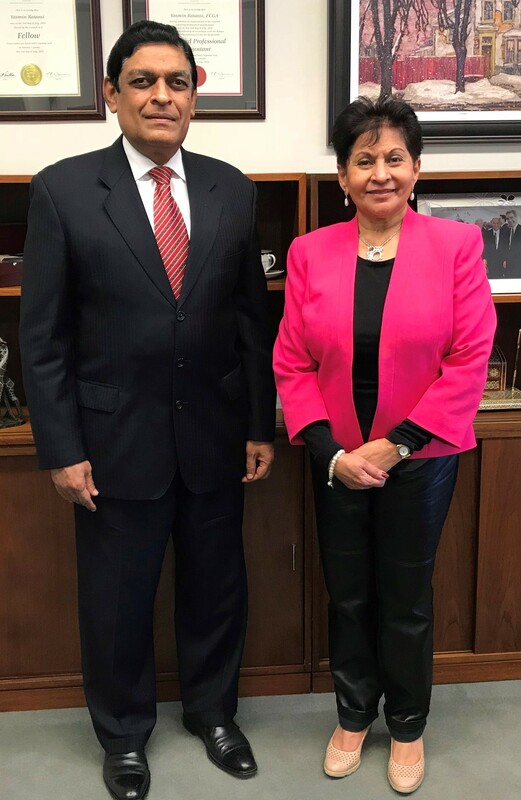 Sri Lanka’s High Commissioner to Canada, Asoka Girihagama met Hon. Yasmin Ratansi, MP, senior member of the Federal Parliament from the ruling Liberal Party and the Chair of the Canada -Sri Lanka Parliamentary Friendship Group, on 12th December 2018. During the meeting, High Commissioner Girihagama briefed Hon. 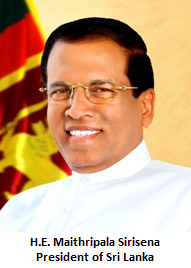 Ratansi on the current political situation in Sri Lanka, bilateral relations between Sri Lanka - Canada, reconciliation and democracy. The High Commissioner also discussed the need to further enhance the promotion of trade and investment between Sri Lanka and Canada and referred to Hon. Ratansi’s visit to Sri Lanka in March 2017, when she led the Canada – Sri Lanka Business Convection 2017 delegation with 21 business leaders and two Canadian Members of Parliament. MP Ratansi visited Sri Lanka again when she led a delegation of Canadian Parliamentarians to Sri Lanka as the Chair of the Canadian Branch of the Commonwealth Parliamentary Association in November 2017.